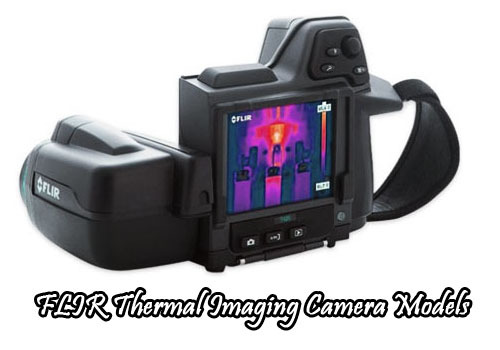 Thermal imaging cameras are cameras that use infra-red light for capturing images. The operation of the thermal imaging camera is similar to the normal camera but, these cameras are used to capture images in dark. The camera works on the basis of heat. The IR radiations are sensitive to heat and the images captured by these cameras differentiate heat bodies from the normal one. Hence the thermal imaging cameras are used by the firefighters. 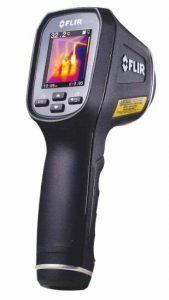 There are many important and useful thermal imaging cameras specially designed for firefighters, one among them is the FLIR thermal imaging camera. The FLIR thermal imaging cameras are designed with many innovative technologies and high resolution. They capture the images with high quality so that the user can easily recognize the heat. There are various camera models in FLIR thermal imaging cameras, the top models among them are listed below. 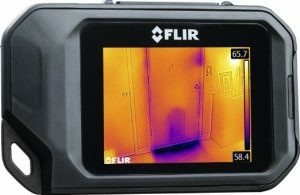 The best selling thermal imaging camera in the market is the FLIR ONE Thermal Imager. This Thermal Imager is of two types; one compatible with android devices, and the other compatible with iPhones. This camera is designed lightweight, and it captures the thermal images and transforms it effectively to the mobile phones. FLIR app is used for viewing the transmitted thermal images. This thermal camera also has an exclusive MSX technology, and with this technology; it can effectively blend the thermal and visible spectrum. By this blending, it provides more detail and enhanced resolution. Key features: MSX technology, infra-red imaginary, and lightweight. Pros: measures temperature, high resolution and powerful. 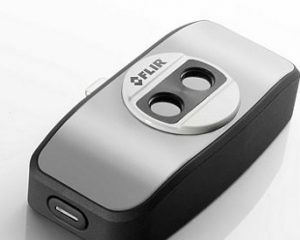 This is also an important and useful product of FLIR brand. This camera has features innovative Lepton IR engine with high resolution and sensitivity. The resolution of the image is about 80×60 and the sensitivity is about 150 mK. This device can be operated easily without any special training. The spot size ratio of this device is about 24:1 and it can be used for measuring safer distance. Other than this, the camera also has an 8GB SD disk that can be used for storing the captured images. These images can be transmitted with the help of USB cable. This device is compact, durable and it can be used easily by the beginners. This is a compact infrared camera that has an autofocus feature. It has an outstanding thermal accuracy and it can detect the temperature of the area easily. This is a battery operated device and it uses a rechargeable lithium ion battery for operation. This device has increased thermal sensitivity and can be used easily. This camera is compact and lightweight in design. Key features: swappable lithium ion battery, increases thermal sensitivity and high-temperature range. Pros: high thermal accuracy, lightweight and easy to use. This is also a lightweight FLIR thermal camera that can be used by the firefighters. It has a built-in LED spotlight and this light can be used as a flashlight. The images produced by this camera are MSX-enhanced thermal images that will produce stunning details. 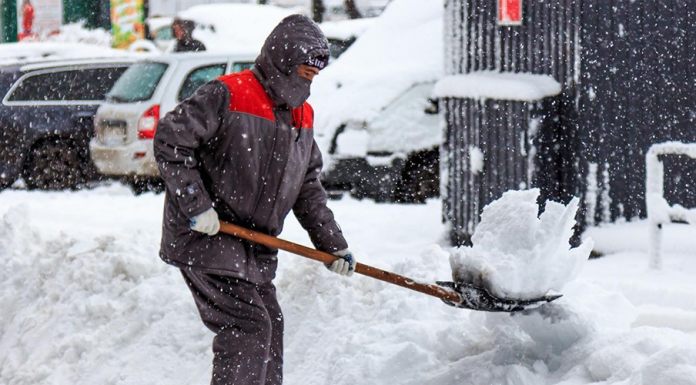 These images enable to identify the problem areas easier. This camera is slim in design and hence it can be fitted easily into any work pocket. Key features: MSX-enhancement, high sensitivity, and LED spotlight. Pros: slim design easy fit and easy to operate. 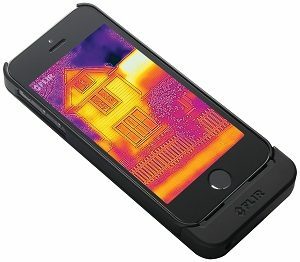 This FLIR one thermal imager is specially designed for iPhone 5/5s. 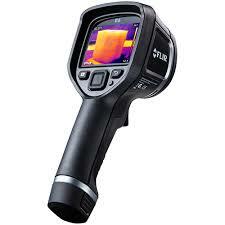 The uses of this thermal imager are; it can be used for finding heat loss, energy inefficiency, and water leaks. This camera can measure the temperature of the invisible heat sources. This Imager is mostly used during nights, to view the wildlife in a particular region. It can capture images and videos and it can also blend thermal and visible spectrum for enhanced resolution. Key features: temperature measurement, capture videos and images and blends thermal and visible spectrum. Pros: enhanced resolution identifies heat loss, energy inefficiency, and water leaks. These are the top models if FLIR thermal imaging camera. Choose the best camera that suits you.